On Thursday, NASA announced the discovery an exoplanet that is similar to Earth in terms of size, solar orbit, and the size of its sun. 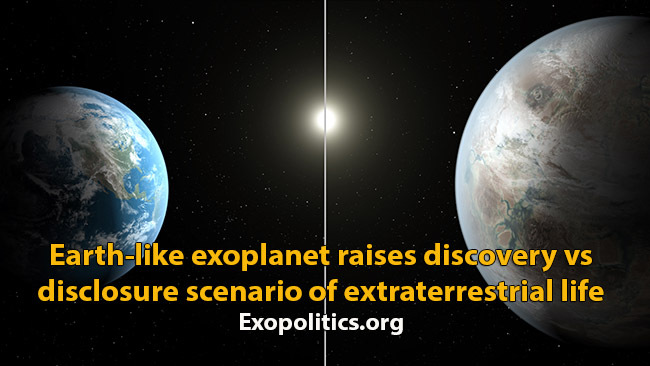 This has sparked news reports that exoplanet Kepler 452 may host extraterrestrial life. The Guardian released a story titled “Is Kepler 452b humanity’s best chance to find alien life?” while RT News ran the story, “We are not alone? NASA’s Kepler telescope finds first planet similar to Earth.” Dr Seth Shosta from the Search for Extraterrestrial Intelligence (SETI) program believes the discovery of Kepler 452 will help scientists figure out “what fraction of stars have a world that could support life”. While there have been other earth sized exoplanets discovered in the habitable region of their suns, they orbited much smaller suns. The sun of Kepler 452 is however similar to the Earth’s in terms of diameter. Its age of six billion years means that it is more likely that life could have evolved over extended periods of geological time. Kepler 452 is estimated to be 60% bigger than Earth, has a similar orbital distance from, and orbit (385 days) around, its sun. It is also thought to be a rocky planet that could host large oceans where life could evolve. The discovery of Kepler 452 follows soon after it was announced on July 20 that Stephen Hawking was backing a new SETI related initiative to find extraterrestrial life. The project will be backed by a Russian billionaire who is donating $100 million. Fortune is smiling on SETI related programs with renewed private funding and a new set of exoplanet targets for finding signs of extraterrestrial life. It now appears inevitable that either SETI will detect radio signals from a distant alien civilization or that astronomers will develop techniques for identifying bio-signatures in an exoplanet’s atmosphere. Either way will lead to a major scientific announcement about the discovery of extraterrestrial life, and a new era as humanity adjusts to the reality that we are not alone. There is however a big problem with this unfolding scenario. It’s a lie. Extraterrestrial life was discovered more than seven decades ago and for national security reasons has been kept from the public arena. The advanced technologies used by alien visitors in their flying saucer craft and larger cigar-shaped motherships, was well documented at the dawn of the UFO era. 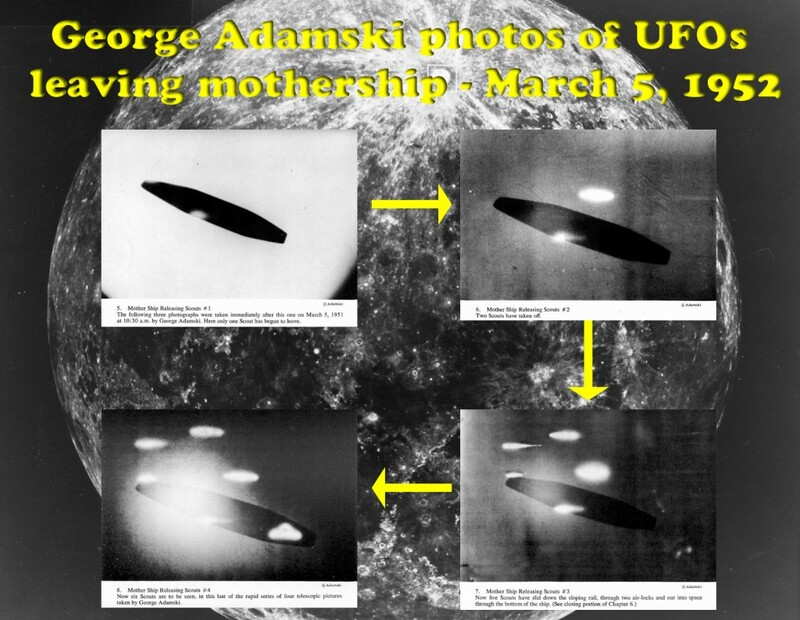 For example, George Adamski in the early 1950’s released photographs of large cigar shaped motherships with scout craft leaving that have never been debunked. A senior Canadian government scientist Wilbert Smith made discreet inquiries in the late 1940s and found that the flying saucer issue had a non-earthly origin and was more highly classified than the H-Bomb. Many hundreds of whistleblowers began emerging in the late 1990s to reveal their involvement with covert programs that involved working with or suppressing information about extraterrestrial life and technology. 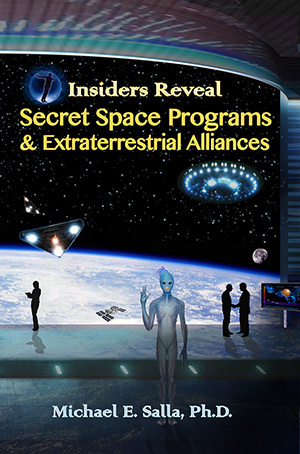 Even more recently, there have been major disclosures about secret space programs that are aware of and working with different extraterrestrial civilizations. These whistleblower disclosures are accelerating and have the potential to lead to a massive breakdown in the secrecy system that has been built up over decades. Modern information technologies make it possible for organizations such as Wikileaks to be given large numbers of documents that are released in ways that expose national security secrets. 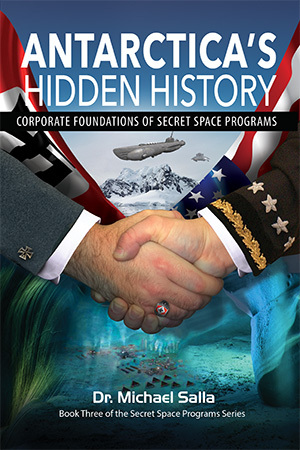 Indeed, some whistleblowers claim that massive document dumps are being prepared at this very moment concerning secret space programs, and national security and corporate elites are aware of this. It is inevitable that the world public will learn that extraterrestrial life is real. This will happen either through enhanced detection techniques for scanning exoplanet bio-signatures or radio signals, or a massive breakdown in the secrecy system built up over decades. National security and corporate elites responsible for covering up the existence of extraterrestrial life face a major dilemma. They can sit back and allow scientists to move forward in a gradual process that eventually discovers distant alien life. Such a discovery will raise inevitable questions as to whether conspiracy theorists were right all along about a cover-up thereby creating heightened interest in what witnesses, whistleblowers, leaked documents, etc. have been saying about alien life. This will make the scenario of a massive breakdown in the secrecy system more likely – either soon after or even prior to an extraterrestrial discovery announcement – which is what many elites fear most. This leads to a third scenario that some national security and corporate elite may attempt in order to maintain much of the infrastructure of a decades-long secrecy system. An announcement that alien life has been discovered on a distant exoplanet will be given saturation media coverage that sparks massive public and private funding for space exploration. Such a discovery will be given sufficient media spin to make it appear that humanity is embarking on a bold new adventure that deserves massive public support, rather than suspicion due to crazy conspiracy theories focused on past events. The discovery of exoplanet Kepler 452 is a positive scientific development as many in the general public seek an answer to the question: “are we alone?” Any future announcement that extraterrestrial life has been discovered on a distant exoplanet needs to be considered not solely as the start of a bold new age in space exploration, but also as an opportunity for disclosure of the truth about past and even present-day events covering up that we are not alone in this vast universe.